COLOMBO: Avdhash Kaushal, the Indian social worker, who has been appointed as one of the five advisors to the Sri Lankan Presidential commission on missing persons and war crimes, has said that India should respect Sri Lanka’s sovereignty while trying to help the latter resolve the Tamil question. “You can talk to the Sri Lankan government and give them advice, but you cannot ask them to behave. India and Sri Lanka must respect each other’s sovereignty,” Kaushal told Express over phone from Dehradun in Uttarakhand on Sunday. “How will we in India feel if Sri Lanka calls and talks to Indian separatists ?” he asked. 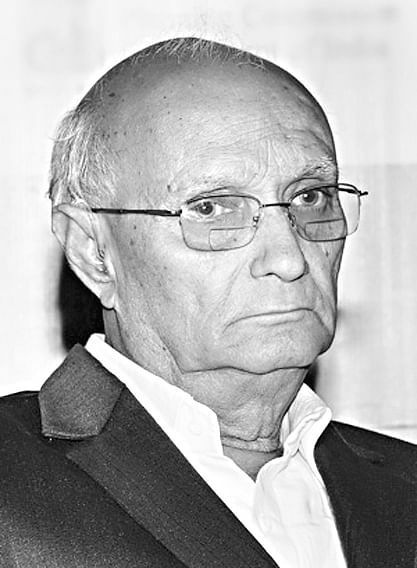 The 77-year-old Padma Shri award winner’s plea to India and Lanka to respect each other sovereignty came in the context of a meeting between Indian Prime Minister Narendra Modi and the Sri Lankan Tamil National Alliance (TNA) in New Delhi on Saturday, after India had objected to an earlier meeting in New Delhi between Kashmiri separatists and the Pakistan High Commissioner. “We should not add fuel to the fire, but help Sri Lanka solve the problem. We should not pose as the Big Brother and apply pressure on it, but attempt to convince it of our stand. India should express appreciation of the progress made thus far in the implementation of the 13 Amendment on devolution of power to the provinces, and then urge the Lankans to move forward,” Kaushal said. His appeal to the Lankan Tamils was that they must forget that they came from India and consider themselves Sri Lankans now, abiding by Lanka’s laws and constitution. “They cannot ask for police powers for the Northern Province,” he said. Meanwhile, The Sunday Times reported that President Mahinda Rajapaksa was displeased with the TNA for meeting Prime Minister Modi without first intimating him. External Affairs Minister G L Peiris had expressed disappointment that Modi’s first official meeting with the Lankans was with the TNA and not the government. Rajapaksa’s meeting with Modi in June was not an official one. BJP leader Dr Subramanian Swamy had said in Colombo earlier, that Modi will not meet the TNA without clearance from the Lankan government.